‘Naughty is as naughty does’ with this cheeky little rascal. 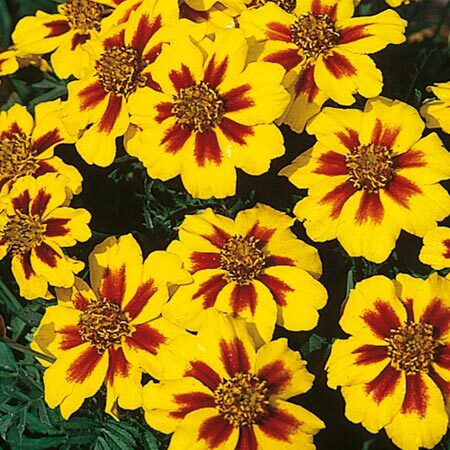 Colourful golden flowers with maroon blotches on this vigorous variety Height 30-38cm (12-15"). HHA - Half-hardy annual. Sow February-May, flowers June-September. Suggested planting distance 23cm (9"). Easily grown from an indoor sowing they can be sown direct outside for later flowering. Real sun lovers to light up your garden. Suggested planting distance 23cm (9").